Compatible with any smart phone, tablet, PDA, MP3, MP4 and other electronics devices. 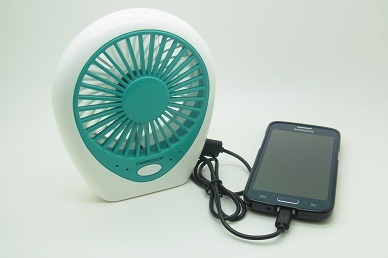 With built in rechargeable fan. Strong wind operation at 3-gear of fan speed.